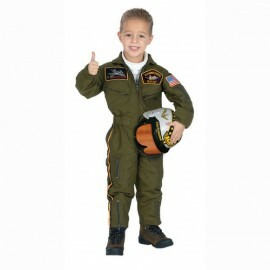 US air force pilot suit - spacekids - space toys, dressing up costumes, kids spacesuits, astronaut food, cool space stuff! This Armed Forces Pilot Suit will take kids from the bedroom to the flight deck in one easy outfit. Looks and feels like a real airforce pilots flying suit. This suit is also available in teen, adult and baby/toddler sizes, please email us at info@spacekids.co.uk for details.